On Apr. 23 Beijing Time, PATEO Group joined Dongfeng Motor Corporation Passenger Vehicle Company (DFPV) and Baidu Duer Business Unit (BU) in launching WindLink 3.0, an artificial intelligence based in-vehicle infotainment system, and proclaiming entry into the era of AI. The 130-plus-year-old automotive industry is facing rapid and profound changes, as its previous business model is being disrupted by new energy, intelligent transportation system (ITS), self-driving cars and mobility. The 2017-2027 decade will usher in the era of AI, the one that’s even more influential than the mobile internet, while the AI technology revolution will first break out in the 5G-and-intelligent-driving-powered automotive sector. In future city and transportation scenarios, automobiles will be possibly no longer human-driven, but transform from a leading traffic facility to an inconspicuous one, while AI, big data and cloud computing will constitute the decisive factors of the future traffic pattern. The statistics in J.D. Power’s report this year indicate that 91% of Chinese consumers prefer intelligent and connected vehicles when purchasing new cars, 51% of the respondents are willing to spend additional 20% of the payment for intelligent and connected vehicles, while 39% of them are willing to spend additional 10%. This data is more of an evidence that after eight years’ cultivation, the intelligentization and connectivity is about to enter a boom period when user buy-in will have been fully gained, and PATEO will not only act as a telematics supplier, but also leverage the powerful capabilities of itself and other industry giants in internet, communications, finance and mobility fields to empower the 30 million new cars per year to help traditional auto giants like Dongfeng build their own set of ecosystem & software data platform with open access to a variety of giants’ resources, thus ultimately turning these motor companies from automobile sellers into enterprises operating user value & mobility business through connected car products characterized by ultimate experience and absolutely advanced technologies. The joint launch of WindLink 3.0, the first AI-based IVI system, by Dongfeng and PATEO & Baidu DuerOS, giants of internet & connected car, during Auto China 2018 will usher the automobiles on the racetrack directly into the AI era, and the win-win cooperation is bound to create disruptive & ultimately intelligent experience. In the future, vehicles will be either intelligent or non-intelligent; therefore, nowadays almost all traditional automobile enterprises have invested maximum resources in the intelligentization field, and some of them have even surpassed the input into the new energy related fields. All these data show that the value of automobile users is 20-70 times as much as that of smart phone users. By virtue of the ultimate experience brought about by intelligentization, automakers will turn their main source of profit from car sales to user operation; and not only the automotive / chip / internet industries, but also the finance / energy / communications sectors, have all seen such a tremendous opportunity. In this context, Dongfeng Group, a national player of Chinese vehicle makers, works hand in hand with Baidu DuerOS, a national player in self-driving field who inputs CNY 25 billion per year in AI technology R&D, as well as PATEO, a connected car industry leader; and thanks to the efforts of thousands of engineers for two years day in and day out, a completely AI technology empowered intelligent IVI system named Dongfeng Fengshen WindLink 3.0 is thus created. It’s totally different from the previous intelligent connectivity products, ranging from the technical architecture to product experience, and enables mass production of the truly AI-based automobiles for the first time. The WindLink 3.0 IVI jointly created by the three parties applies the hardware that is custom developed and matched to software by PATEO, with the needs of both automakers and internet enterprises taken into consideration. Among them are chips for i.MX6Q Plus processor, a 4GB RAM, a 32GB ROM and a 1920×720P HD display, which are standard for the whole vehicle lineup, making them the only vehicle models in their respective classes to feature such a high configuration. 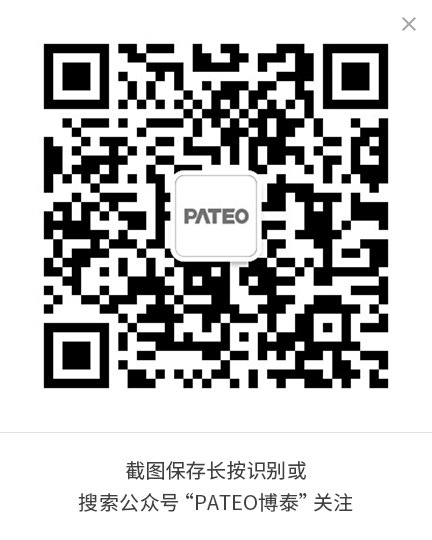 Founded in 2009, PATEO Group has now become an intelligent vehicle & connected car company with the largest capital structure & business scale and automotive customer base in Mainland China. As a connector between internet and automobile and a company empowering traditional auto giants like Dongfeng, PATEO, based on its own vehicle infrastructure, auto electronics, communications, software, cloud and operation services, starts from the product/platform ideas and works with tens of millions of active users to create new products and business models that are able to cover mainstream vehicle models in the future, and are to be shared with automakers and the entire industrial chain. Centering on the AI-based WindLink 3.0 IVI system, a truly powerful ecosphere has taken shape through the joint efforts of Dongfeng and its multiple partners including PATEO, Baidu DuerOS, Baidu Cloud, Baidu Maps, Baidu Brain, Huawei, Suning, China Unicom, TravelSky, Umetrip, Ctrip, Ximalaya, ETCP, Microsoft and Kuwo. 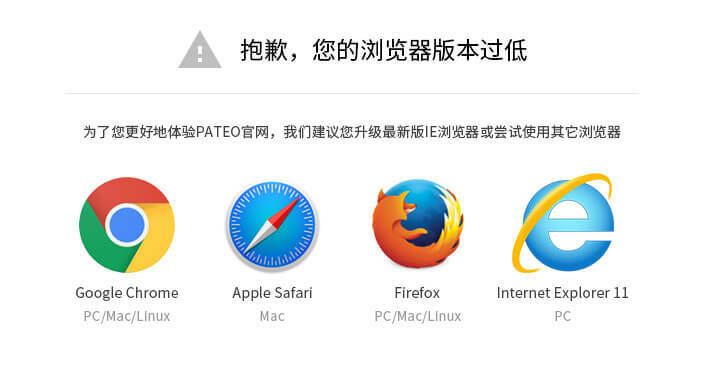 On the connected car cloud service platform jointly built by Baidu DuerOS and PATEO, a complete set of capabilities including an account system, an OS, a map service, a cloud service and an AI portal has been created, and at the same time, Baidu MapAuto is deeply embedded into the cloud platform, OS and AI services, thus a closed loop in the global automotive sphere is formed, characterized by a rich ecosystem covering AI, account, map, cloud and OS, etc. IVIs used to be similar to tablet computers – all functions are fulfilled through the apps installed in the IVI, while for Dongfeng Fengshen WindLink 3.0, it’s not necessary to download Apps, as it adopts the “scenario as home screen/scenario as service” HMI approach based on the powerful performance of the cloud platform. To put it simply, whatever the driving scenario is, AI will proactively and automatically offer suitable services based on user itinerary, traffic/vehicle/weather conditions, as well as user’s daily habits in food, travel and shopping. This kind of service “comes and goes as needed”, thus ensuring a much safer trip. In the AI-based WindLink 3.0 IVI system, DuerOS which plays an important role in human machine interface is not working alone. Behind it, there is an ultra large neural network boasting thousands of billions of parameters, AI algorithms based on hundreds of billions of samples, hundreds of thousands of servers, as well as the computing capabilities guaranteed by the largest GPU cluster of China. Therefore, for the first time, the AI-based learning ability as demonstrated by AlphaGo is enabled. The interaction between a system and a human is actually the communication between a human and a bunch of servers: while a group of servers are listening, the others are calculating and outputting results within sub-seconds. With regard to the data capability, Baidu DuerOS enjoys access to various data needed by user, including hundreds of billions of webpages, tens of billions of search requests, tens of millions of user profile segmentation tags, as well as enormous Baidu Maps, Baidu Input Method, Baidu Translate and Baidu Zhidao data. By levering the powerful AI computing and data capabilities of Baidu DuerOS combined with the ample resources in the ecosphere, the AI-based Dongfeng Fengshen WindLink 3.0 IVI is the first of its kind that can really understand the complicated human language, offer the most appropriate answers, make appropriate responses and satisfy owner needs in a smart way. For the first time, an IVI is capable of understanding the complicated human language, meaning that Dongfeng users can truly communicate with an AI-based IVI the same way they do with a human, which can not only address their clothing, food, shelter and transportation needs, but can also have someone chat with them to relieve their boredom on the journey, and the automobile has thereby literally changed from a means of transportation to a travel companion for exploration of pleasures in life. The Dongfeng Fengshen AI-based WindLink 3.0 IVI system has full access to the technologies for ecosystem infrastructure, meaning not only that a vehicle owner is able to control mobile phone, smart wearable devices, Smart Home devices/appliances when sitting behind the wheel, but also that the links between vehicle and smart products will be ever increasing. Developers are able to develop more onboard intelligent devices based on the various hardware interfaces that Dongfeng Fengshen WindLink 3.0 offers, so as to improve the AI service capability whenever possible. Therefore, the WindLink 3.0 jointly launched by Baidu DuerOS, Dongfeng and PATEO is not only able to build an all-scenario ecosystem, but also allows constant growth. Undoubtedly, Dongfeng joining hands with PATEO and Baidu DuerOS Business Unit has created a multi-win situation for all three parties. For Dongfeng: In the long run, after being integrated into the all-new ecosystem, Dongfeng products will witness a significant improvement in competitiveness over the next few years; in the short run, the brand and technological power of PATEO and DuerOS will help Dongfeng build a more distinctive intelligent brand image. For PATEO and Baidu DuerOS Business Unit: They will be brought into closer and deep cooperation with Dongfeng, with in-depth involvement in vehicle product R&D and implementation from beginning to end, so as to allow more intelligent DNA infusion from the initial R&D stage. More importantly, when the product is practically mass-produced, it can be taken as a sample for further breakthroughs and great victories on the automotive racetrack. All through the time, onboard system has been mainly comprising navigation, music and other Apps. When cars get connected on a large scale and vehicle hardware is able to support service and application in a substantially better way, the fully AI technology empowered Dongfeng Fengshen WindLink 3.0, which is able to catch, understand and satisfy user needs, has enabled the transformation from “you have to learn to adapt to the IVI’s way of thinking” to “the IVI automatically learns to adapt to your interests and preferences”. Therefore, you will find that the more you drive, the smarter, more considerate and more thoughtful the car will be. WindLink 3.0 marks the arrival of the AI-based IVI system era, and together, Dongfeng, PATEO and Baidu DuerOS have just completed the planning for the next generation AI-based IVI system. Along with the improvement of computing capabilities and the arrival of the 5G & AI era, automobile is replacing the smartphone in the mobile internet era to become the next smart center. PATEO, the pursuer of “Ultimate Quality, Ultimate Experience and Ultimate Interaction”, will stand side by side with partners in the connected car ecosphere, including Dongfeng and Baidu DuerOS, to embrace the AI technologies in a more forceful way and thus gradually transmute all mobile machinery into thinking ones.